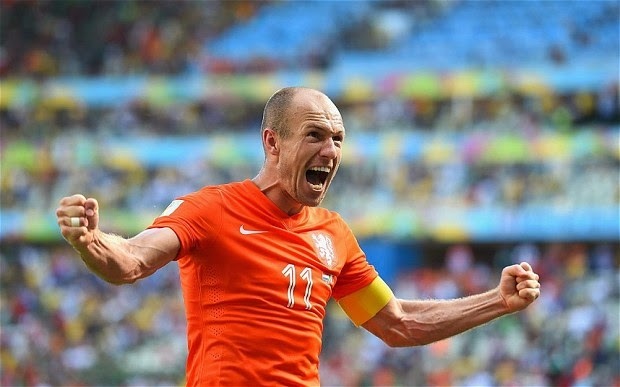 Home » 2014 World Cup , Arjen Robben , Holland , Johan Cruyff , Louis van Gaal , Marco Van Basten , Netherlands , Rinus Michels , Robin van Persie , Ruud Gullit , Wesley Sneijder » Can the Netherlands Finally Win the World Cup? 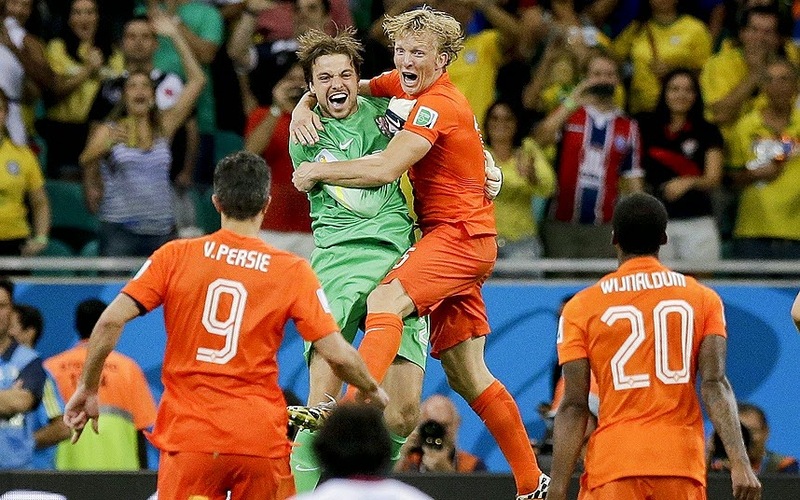 Can the Netherlands Finally Win the World Cup? With the Netherlands victory over Costa Rica in the World Cup Quarter Finals on penalty kicks, a great psychological weight may have lifted from the Dutch, frequent losers from the spot, and people are now wondering if this is the year that they can finally become champions of the world. For a country that has produced so many fantastically gifted players over the past forty years, along with revolutionizing how football tactics and youth development is approached, it's astounding that the Dutch have never lifted the World Cup. 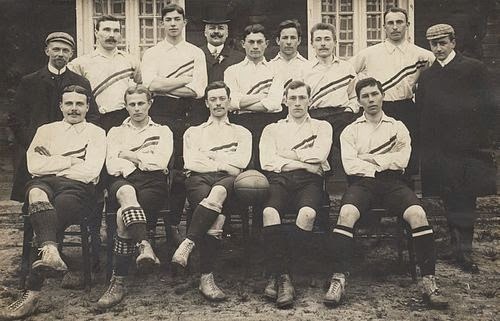 Playing their first international against Belgium in Antwerp in 1905, the Netherlands competed in the 1934 and 1938 World Cup Finals without a great deal of success, and would have to wait until 1974 to reach another World Cup. In the intervening years, a sea of change swept over Dutch football though. Unlike neighbouring countries in Europe, the Royal Dutch Football Association (KNVB) refused to allow professionalism in the Dutch leagues right up until the early 1950's. As they continually lost talented players to other domestic leagues, and subsequently banned these players from playing for the national side, the Dutch team was rightfully seen as a minnow on the world stage. With the introduction of professionalism in 1954, and the formation of the Eredivisie in 1956, the standard of play in the country began to improve. The first winners of the Eredivisie, AFC Ajax, would also have a profound effect on the direction of Dutch football. Implementing a youth development program that would one day become the envy of Europe, Ajax would not only dominate Dutch football, but dramatically change the fortunes of the national side. With the emergence of Johan Cruyff from their youth ranks in 1964 and the hiring of coach Rinus Michels the following year, the side began to implement a system of play known as Total Football. The concept of Total Football involved the flexible movement of players all across the pitch, moving and covering for each other to fill spaces and confuse opposition markers. This system, which was heavily influenced by the great Hungarian side of the 1950's, required players to be comfortable with taking on different roles and to have the intelligence to adapt as the teams shape could change at any time during a match. The Ajax way of playing also emphasized quick, short passing and movement that would be adapted to good effect by not only the Dutch national side, but in later years by Barcelona and Spain. The 1970 Brazilian World Cup winning captain, Carlos Alberto, described Ajax and the Netherlands style of play as a carousel of passing and movement. After seeing his Manchester United side demolished by Barcelona at Wembley in 2011, United manager Sir Alex Ferguson also referred to Barcelona having beaten them with their "carousel of passing". This was a style of play adapted from the Dutch and the direct influence of Michels and Cruyff. With Ajax providing this template for a system of play and a talented generation of players, to go along with stars from Feyenoord and PSV, the Netherlands thrilled the world in reaching the World Cup Final in 1974 in West Germany. Unfortunately after taking an early lead, the Dutch crumbled and lost 2-1 to the hosts. 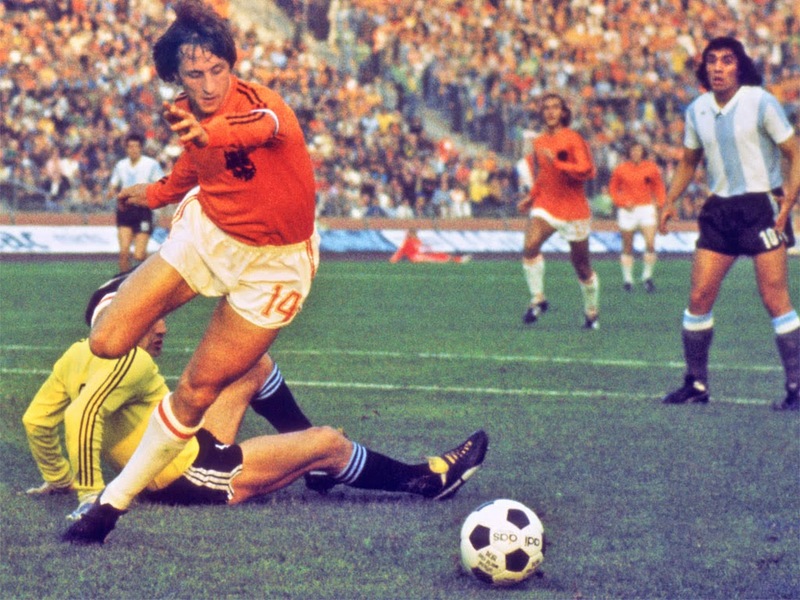 A Cruyff-less Netherlands side reached the final again in Argentina in 1978, but in the white hot political climate of that infamous tournament they were faced with near insurmountable odds and predictably fell to a 3-1 defeat to Argentina. 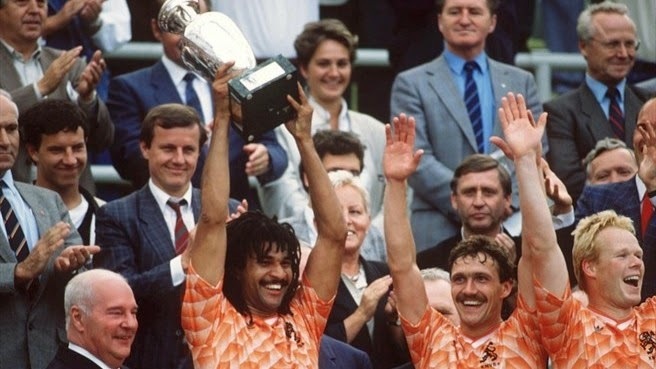 Despite Michels bowing out of management with a thrilling win in the European Champions at the helm of the Dutch side in 1988, the country of Total Football never reached another World Cup Final until 2010 in South Africa. Facing off against Spain, a nation that owes their current footballing philosophy to the "Low Country", the Netherlands betrayed their proud traditions by trying to kick the Spanish off the pitch. In a horribly disappointing final, Spain justifiably prevailed 1-0 in Extra Time and the Dutch were left pondering what could have been again. The 2014 tournament this has seen anything but a vintage Dutch side. They lack the genius of a Johan Cruyff, the magic of a Ruud Gullit, the vision of a Dennis Bergkamp, or the lethal threat of a Marco van Basten. However, they have done what they've needed to win. Utilizing the speed and cunning of Arjen Robben, the steel of Nigel de Jong in the middle, the goal scoring threat of Robin van Persie and a solid back line, the Dutch opened their campaign by destroying Spain 5-1. Since then it has not been plain sailing, but under the crafty leadership of Louis van Gaal they have exceeded expectations and find themselves in the World Cup Semi Final against old foes Argentina. It certainly won't be easy to win the next two matches, but could it be that this is the year that Dutch football finally gains football's greatest prize? We'll find out in the next week.